Gorse is a fantastic shrub with abundant and bright blooming. Planting and pruning it is easy and will let you grow magnificent flowers in your garden. 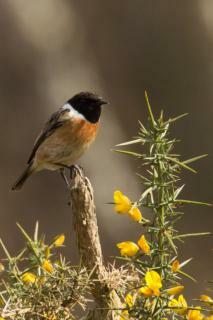 We recommend planting gorse during fall mainly to enable proper root expansion. 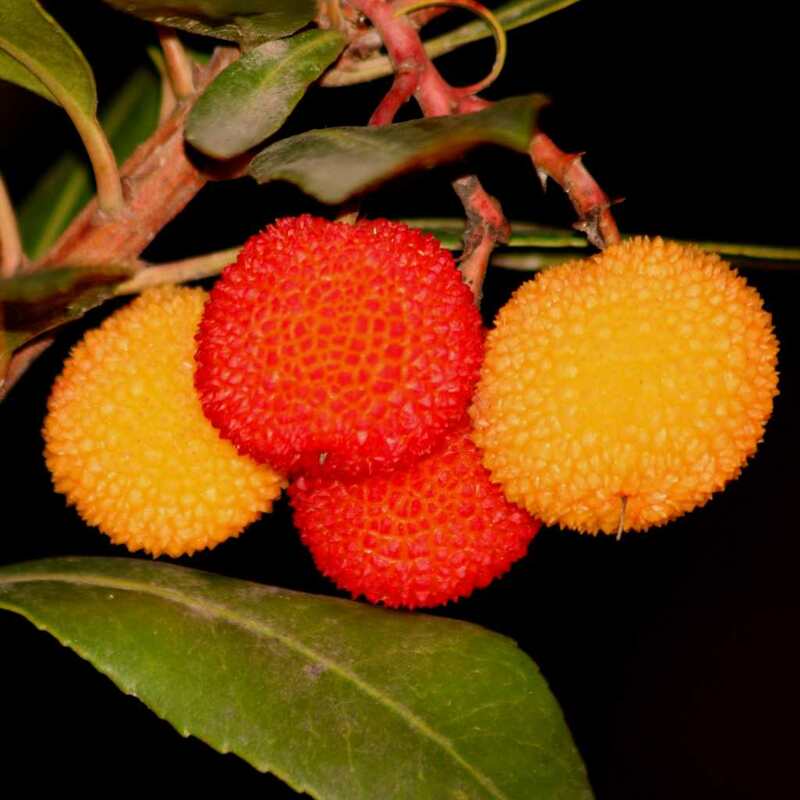 Planting in spring, winter and even summer is possible for specimens purchased in containers, but avoid at all costs periods of freezing and strong heat. 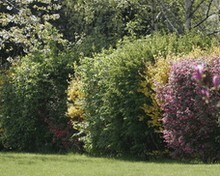 If you’re planting a hedge, provide for at least 3 feet (1 meter) from one gorse to the next. Gorse prefers sunbathed locations to bloom well. It resists wind very well and ocean spray, too. It appreciates well drained soil, even if poor. Follow our guidelines for planting shrubs. Gorse, with all its spiky sharp leaves, is great as a protective hedge. It isn’t really a requirement to prune, you can let your gorse develop naturally without pruning it. 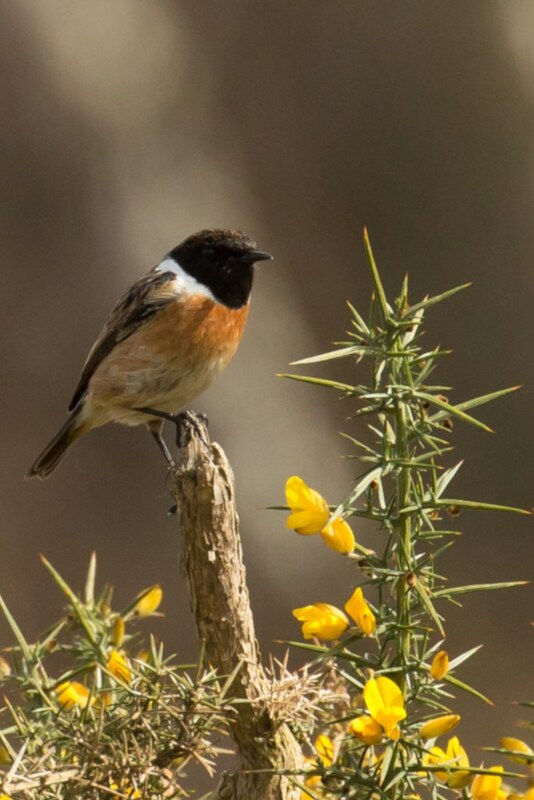 If you wish to reduce the branches or reshape your gorse, wait for the blooming to end. Regarding maintenance, let us say that gorse is a shrub that is so easy-going that it shouldn’t cause you any work at all after planting. There isn’t much that can get to damage gorse – it’s a very resilient plant! Occasionally, spiders may weave their webs around it to capture the many insects that the plant harbors and cares for. 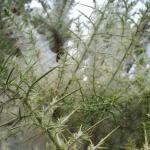 Note, this is different from red spider mite, which doesn’t much affect outdoor gorse. 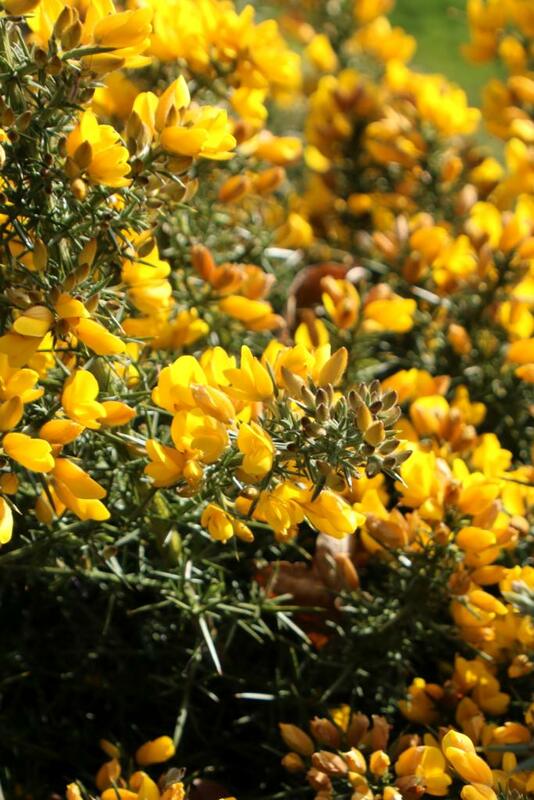 A magnificent shrub when it is in full bloom, gorse is marvelous thanks to its gold yellow blooming. It is often encountered along the Atlantic coast, since it has the rare trait of resisting both wind and sea spray. 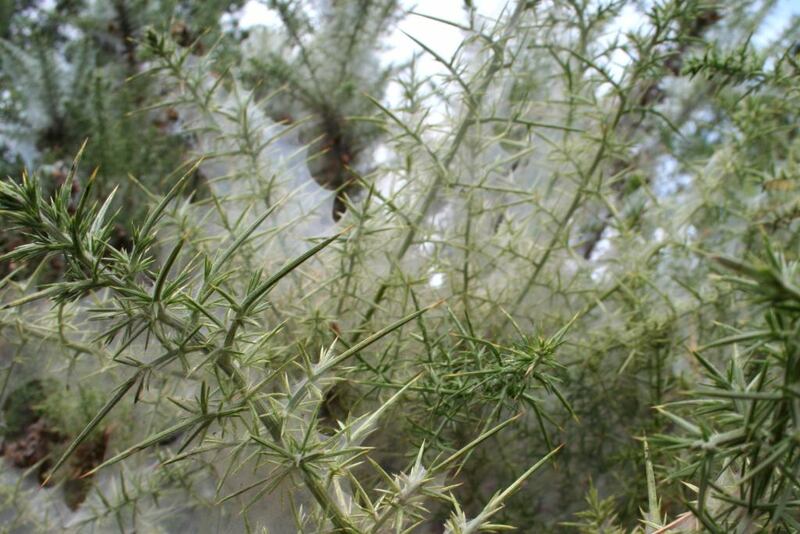 Also called thorny broom, its growth is rapid and its water needs are is low. It is contented with whatever nature gives it. It can be set up in rocky ground, in shrub beds, in a hedge or as a standalone. Its very sharp thorns lead it to be often used as a defensive hedge. 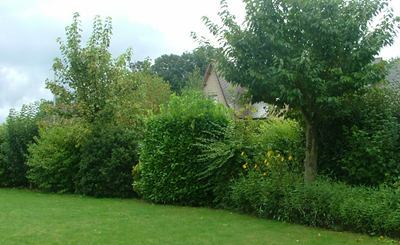 To create a flowered hedge, you can pair it with other flowering shrubs. Gorse is part of the Ulex genus which numbers around twenty species in Africa and Europe, 7 of which are found in Europe. The most common gorse found along the Atlantic coast is the European gorse (Ulex europaeus), and in Brittany there is Ulex breoganii. Along the Mediterranean, the Provence gorse (Ulex parviflorus) is the most common one, and it has the earliest blooming.